Searching for ways to improve your vocabulary? Simply, try using a dictionary app regularly and it can help improve your vocabulary. If you prefer reading e-books or stuff on your smartphone, having a dictionary app on Android can help you get the meaning for a word faster! Why would you need dictionary apps for Android? Well, if your native language is English, you probably know the meaning for most of the words that are commonly used. However, that is not the case for all of the people who opt to learn English later as their 3rd language. If you are one of them, you do need an English dictionary to learn different words. 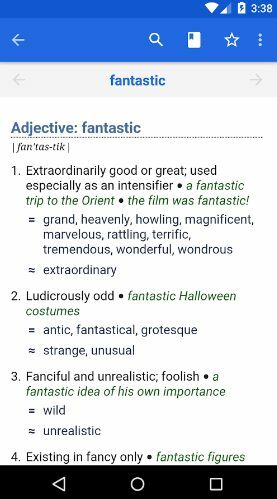 Be it as it may, an English dictionary would always come handy, even if your native language is English. Unless you are a super human, it’s very difficult to know the meaning of each and every word listed in a dictionary. Well, yes, it’s easier when it’s your mother tongue, but still, you can’t figure out the meaning of every word without referring to a dictionary. 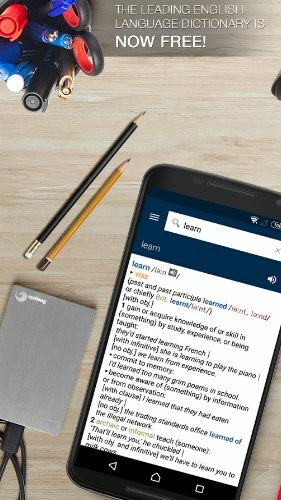 So, to know more about the words found in the dictionary we can make use of some of the best dictionary apps for Android. In this article, we will be pointing out the best dictionary apps for your Android device. There aren’t many dictionaries (English) on the Play Store. But, the ones we have picked would definitely help you improve your vocabulary skills. So, it’s an easy pick for you and for us as well. Let’s check them out! 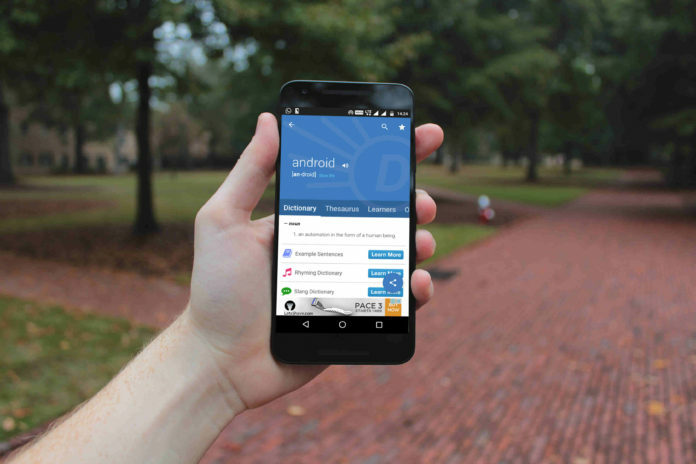 It is one of the most popular dictionary apps for Android. Dictionary.com & Theasurus.com are one among the leading websites. They are one of the biggest portals that people use to search for meanings and for synonyms as well. 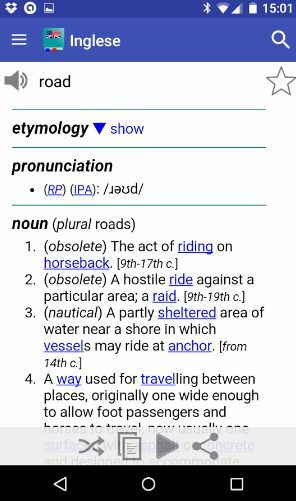 Unlike other dictionary apps available for Android, you don’t need to upgrade in order to use it offline. You can enable the offline mode without paying a dime. In addition, it lets you know about the word of the day, of course, you can disable the “word of the day” notification from the settings. The user interface is quite simple and good enough for a great user experience. It presents you with the information about the trending words. It’s quite helpful when you don’t know what to search for. And, it brings in some additional features and resources when you opt for a premium subscription. If you don’t like getting a paid subscription just to remove advertisements, you would love to have this one. WordWeb is a free offline dictionary app that’s very popular on the Play Store. 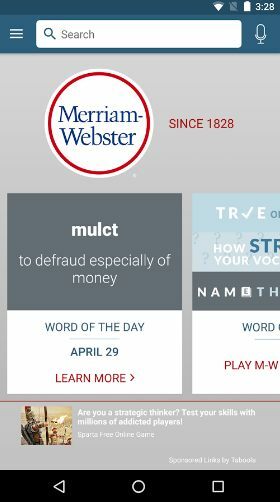 It is a free dictionary app without in-app advertisements. Also, it does not offer any kind of paid subscription plans. You can search for just about anything and you can get the meaning, synonyms, and some more details. Unfortunately, the app does not let you know about the pronunciations for the word you look up. So, that might be a deal breaker if you are also interested in learning to pronounce the word at the same time. 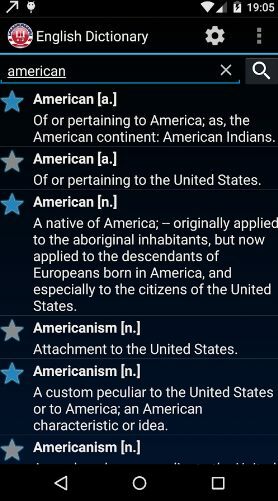 It’s one of the best alternatives to Dictionary.com app. Well, some of the users tend to complain that Dictionary.com’s app provides robot-generated examples. It’s partially true, and in that case, Merriam-Webster does offer better examples. However, when considering the offline support, you won’t get it with Merriam-Webster. In order to be able to access the dictionary offline, you’ll have to purchase the premium Merriam-Webster for around 2 USD. The user interface offered here is quite simple yet responsive. It also lets you play games to test how strong is your vocabulary, you can judge yourself with the game offered and improve your vocabulary at the same time. It’s an ad-free dictionary with offline support included. I won’t be recommending you to install it If you want both thesaurus and the dictionary on a single app. On the off chance, if you were looking for a basic dictionary app that only provides you the information on a word and the pronunciation for it as well, this is the one you’ve been searching for. Just like other dictionary apps, it delivers a “word of the day” though we did not find an option to enable/disable notifications for it. So, you’ll have to launch the app every day to know about the “word of the day”. You can also look up on the recent searches if you forgot the word that you searched previously (basically, the history of your searched terms). It would be inconvenient for you to look for a particular word and scroll the whole recent search history. Instead, you could simply bookmark (setting them as favorites) the required words to find them quickly. The user interface offered is quite basic but the app comes with some of the coolest customizability options as mentioned. You can also backup / restore the database . It would always be useful when you have a dictionary app installed on your device. Well, of course, if you do have a reliable internet connection, any of the dictionary apps would suit your needs. But, if you do not stay connected to the Internet (most of the time) then an offline dictionary would save you.